My absolute favorite thing in Uncharted 3 is how the multiplayer allows you to taunt after a kill—with the help of a friend. That was the point of the campaign, really. It was all about your bond with Sully. After we see Drake's origin as a scrappy orphan, we realize just how touching the relationship between Drake and Sully is. 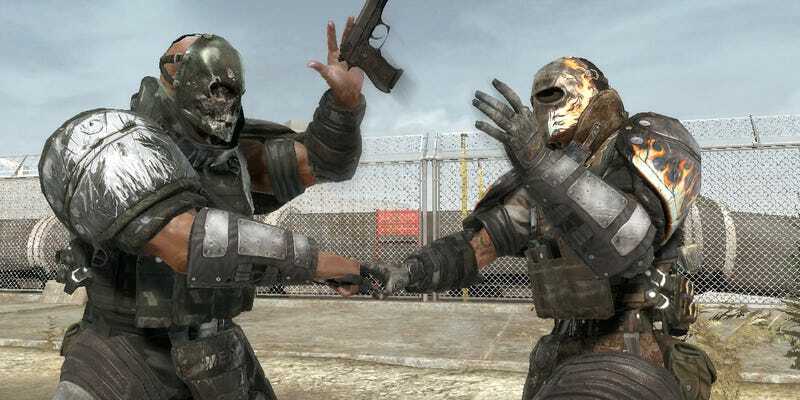 Make no mistake, it's the bond between two bros. Gameological says this about Army of Two, but it applies to Uncharted 3 and to bro-dom at-large. Medal of Honor did something similar, where you are assigned a fireteam with a bro that you could stick with and help out. No high-fiving, though—and that's where most buddy/team centric games fall short. I need to be able to show my affection to my teammates! Additionally, as important as being a bro is, its inclusion (shockingly?) can't save a game. I think of Steel Battalion: Heavy Armor, which had possibly the most important innovation in modern gaming: Kinect-enabled fistbumping. But, alas, it was a terrible game even with that. Hopefully other games don't get discouraged from including or iterating on Steel Battalion's bro efforts though.